This is Annie. 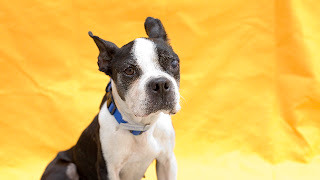 She is a Boston Terrier who was hit by a car and dragged. She was nursed back to health at the shelter. She is adorable and loving.